Archer Building Group, Inc. Home buying: What to expect on the final walk-through - Archer Building Group, Inc. The final walk-through is the last step to take just before the home-buying process is complete, and it is a crucial step. The final walk-through is not a home inspection. But it is the opportunity to ensure the condition of the house hasn’t changed since your last visit, and the chance to ensure you’re getting the same house and amenities you agreed to purchase. It’s also the time to confirm that any previously agreed-upon repairs have been made and the terms of your contract are all met. It’s tempting to cruise through a final walk-through, or even skip it altogether, especially when you’re pressed for time. But that’s never a good idea. A buyer’s walk-through not only gives you confidence in your purchase, but it can pinpoint any lingering problems that need to be settled before closing. Remember, once you close on the home, the previous owners are not obligated to fix any new damages. Timing is important when it comes to the final walk-through. It’s often suggested to schedule the walk-through 24 hours in advance of closing, but no more than 48 hours before to ensure enough time to address any potential problems that could arise. Put aside an hour to conduct the walk-through, enough time for you to be extremely thorough. Double check conditions and repairs. The final walk-through is your chance to verify all promised and negotiated repairs with the seller were met. Include your inspector or general contractor if you have any concerns about the condition of the property. It is sometimes recommended to request receipts from the sellers for any items that have been repaired, along with the contact information for contractors, to prove the work was done. Take your contract with you to refer to during the final walk-through. Have a list of items that are staying with the house, and make sure that all items that should have been removed have been done so satisfactorily. Make sure there is no new damage – especially those that could have occurred when the seller was moving out – and check the yard, garage, attic and basement thoroughly for unwanted items. It’s good to have a checklist as you go through the house room-by-room. 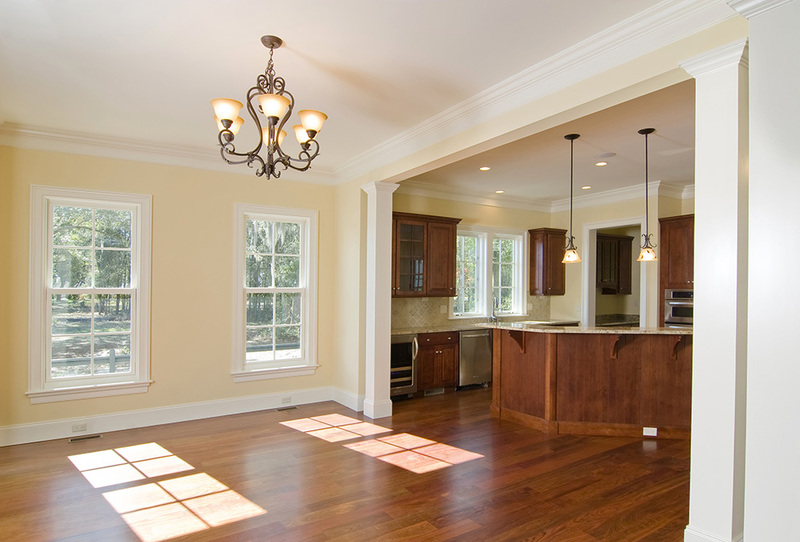 Check that all light fixtures, faucets, and appliances are functional. Make sure all doors and windows open, close, and lock properly and no screens or storm windows are missing. Check to see that all electrical outlets are undamaged, and that circuit breakers are properly labeled. Turn the heat and/or air conditioning on and off and flush all toilets. Don’t ignore the outside of the house, walking the perimeter to look for leaks, checking lights and the garage door. Pay special attention to issues that could have previously been hidden, inside and out. If you do identify problems, you have options, including walking away from the deal. But be cautious of walking away due to problems that are not significant. You can choose to postpone the closing, and you do have legal recourse for issues that were negotiated to be fixed. Make any defects or new issues known to your Realtor.